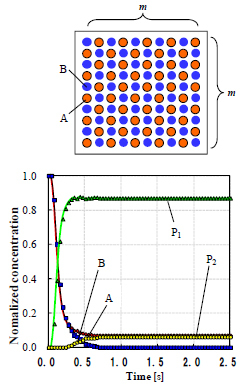 (1) Hessel, V., Löwe, H., and Schönfeld, F., "Micromixers - a review on passive and active mixing principles", Chemical Engineering Science, Vol. 60, (2005), pp. 2479-2501. 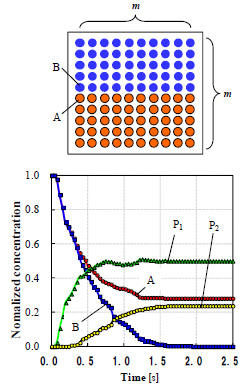 (2) Squires, T. M., and Quake, S. R., "Microfluidics: Fluid physics at the nanoliter scale", Reviews of Modern Physics, Vol. 77, (2005), pp. 977-1025. (3) Lee, C.-Y., Chang, C.-L., Wang, Y.-N., and Fu, L.-M., "Microfluidic Mixing: A Review", International Journal of Molecular Sciences, Vol. 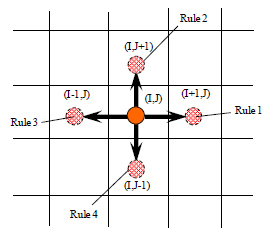 12, (2011), pp. 1422-0067. 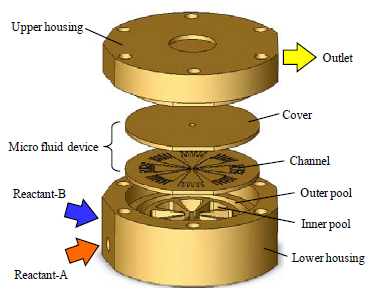 (4) Nguyen, N.-T., "Micromixers—a review", Journal of Micromechanics and Microengineering, Vol.15, (2005), pp. 960-1317. 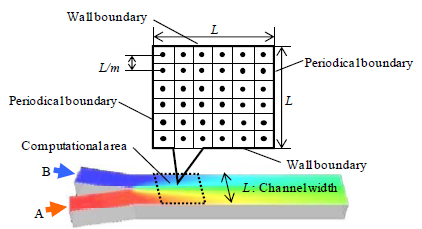 (5) Hamanaka, S. and Kato, H., “Quantitative Evaluation of Mixing Efficiency of Split-and-Recombine Mixing Method,” ASME 3rd International Conference on Microchannels and Minichannels, (2005) , pp. 287-292. (6) Suga, S., Nagaki,A. and Yoshida, J., “Highly Selective Friedel-Crafts Monoalkylation Using Micromixing,” Chem. Commun., Vol.3, (2003) , pp. 354-355. (7) Taghavi-Moghadam, S., Kleemann, A. and Golbig, K. “Microreaction Technology as a Novel Approach to Drug Design,” Process Development and Reliability,” Organic Process Research & Development, Vol.5, (2001) , pp. 652-658. 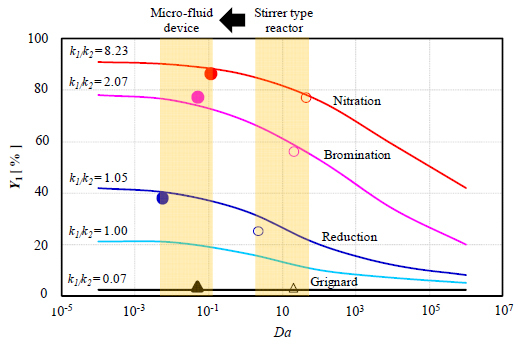 (8) Fukuyama, T., M. Shinmen, S. Nishitani, M. Sato and I. Ryu, “A Copper-Free Sonogashira Coupling Reaction in Ionic Liquids and Its Application to a Microflow System for Efficient Catalyst Recycling,” Organic Letters., Vol.4, (2002) , pp.1691–1694. 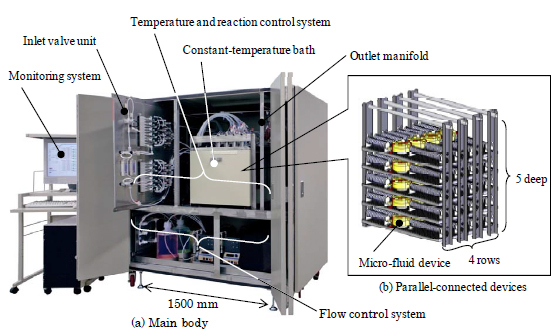 (9) Iwasaki, T., Kawano, N. and Yoshida, J., “Radical Polymerization Using Microflow System: Numbering up of Microreactors and Continuous Operation,” Organic Process Research & Development, Vol.10, (2006) , pp.1126 –1131. (10) Yoshida, J. and Okamoto, H., “Industrial Production Plants in Japan and Future Developments, Micro Process Engineering, Vol.1, (2008) , pp.439 –461, Wiley-VCE.